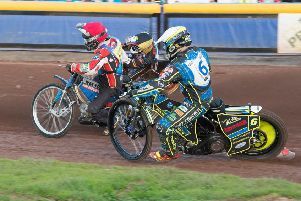 Edinburgh Monarchs’ elimination from the speedway play-offs has left them with just a crack at the Knockout Cup for major silverware this season. Monarchs are still hurting from their play-off exit, the first time they haven’t been involved since their inception in 2012. 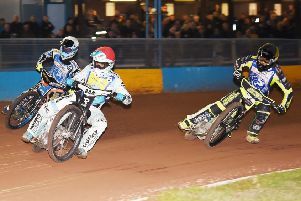 It was a train crash of a home meeting against Berwick Bandits, losing 48-42, which signalled the end of any lingering hopes. Said Wells: “Halfway through the meeting it was just like a normal Friday night. I was watching in between races and we were down by 12 points and I wondered what was going on. It took until heat eight or nine that I thought ‘we need to pull the finger out’. By that time of course it was too late. It was very disappointing. We had been so strong at Armadale all season, it was extremely gutting to lose out.